Go ahead and send as many resumes as you’d like. When you get sponsored (and you will), you simply pay one-time fee of $50 to activate ALL your sponsorship deals, and any new deals you get for a FULL YEAR! All levels of sponsorship are available. 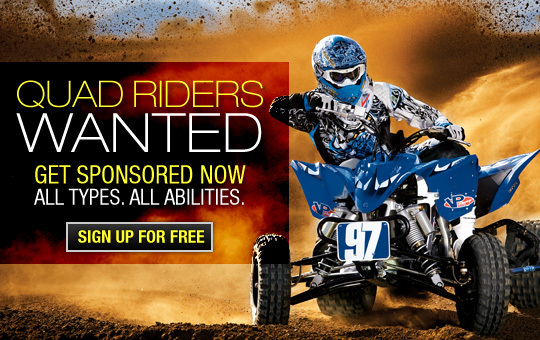 Riders are encouraged to send resumes electronically through QuadSponsor.com, a fast and easy way to examine athletes for sponsorship.